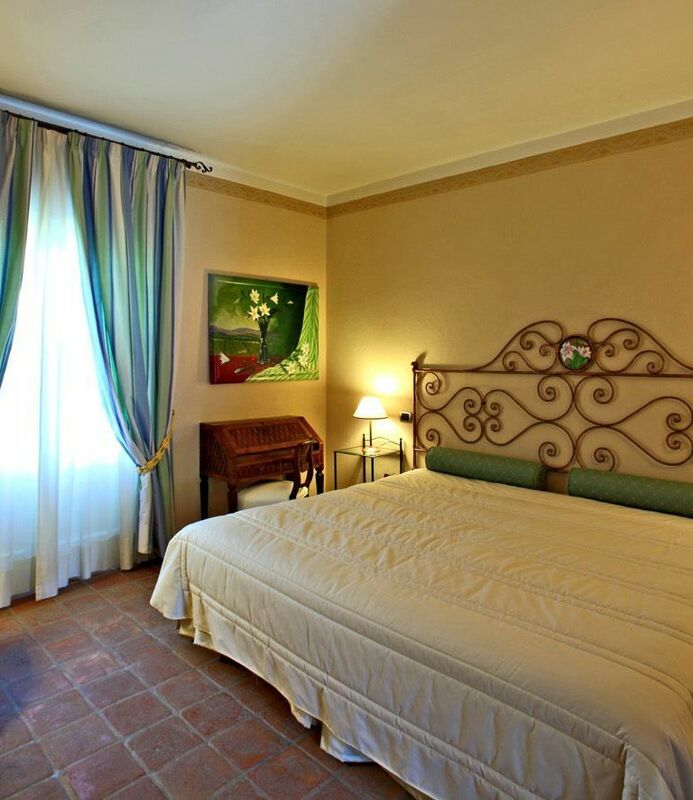 A historic house in Monferrato, the Relais Sant’Uffizio main building has 41 rooms available. 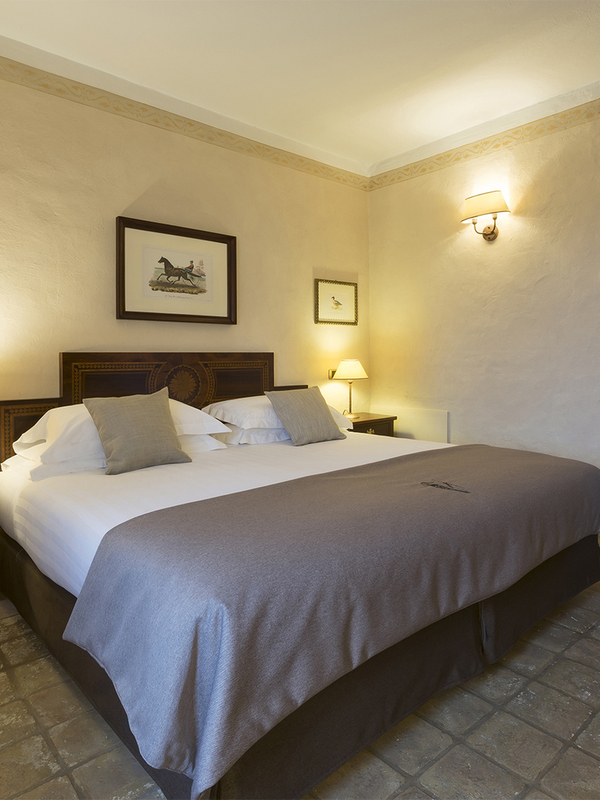 Guests can opt to stay in a Classic room, enjoy the Prestige rooms, or upgrade to the Deluxe rooms and Suites. With almost all room types you need to walk a few meters outdoors to reach your accommodation. 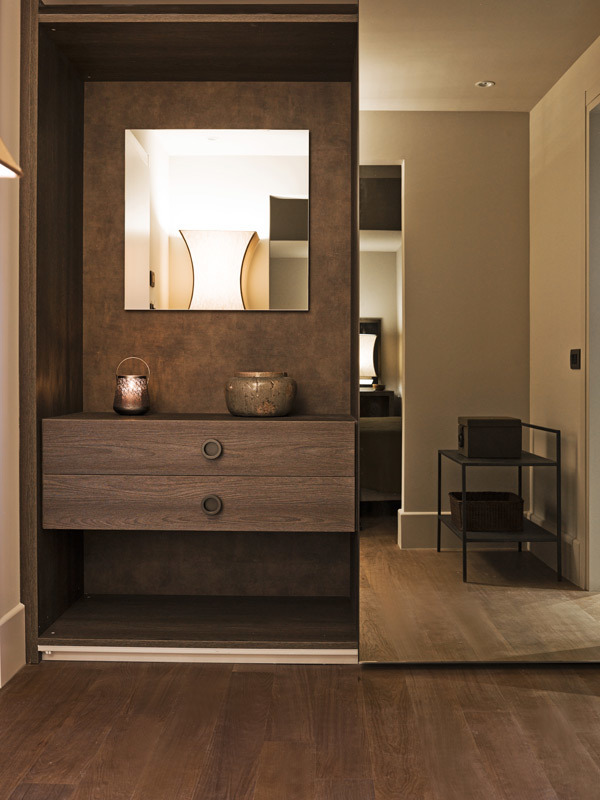 Please note that direct internal access to the SPA is available with the Deluxe Suites. Wine and food, cultural and sport packages are available for guests, so you can enhance your stay with treats, tastes and trips of all kinds. Visitors to Piedmont will marvel at the natural beauty and culture of Langhe e Monferrato: a UNESCO patrimony. 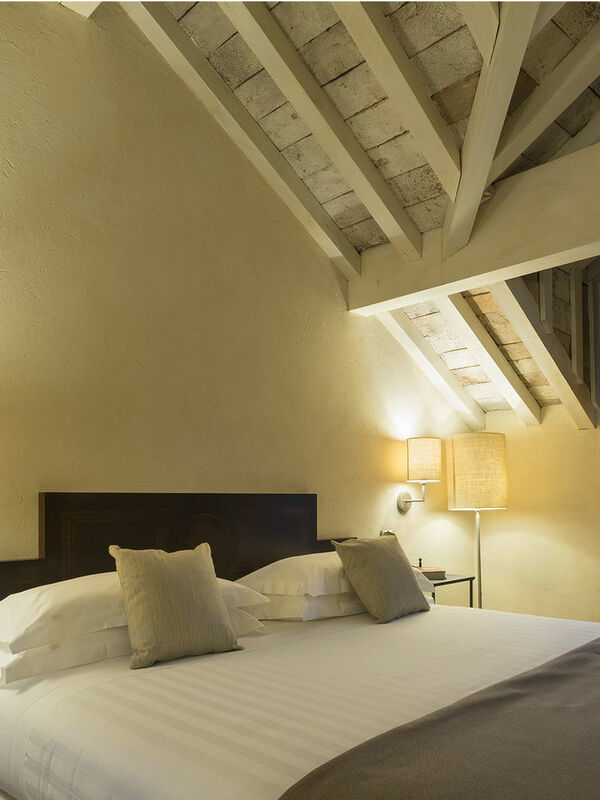 Choose a peaceful and tranquil room, which once housed the monks of the monastery. 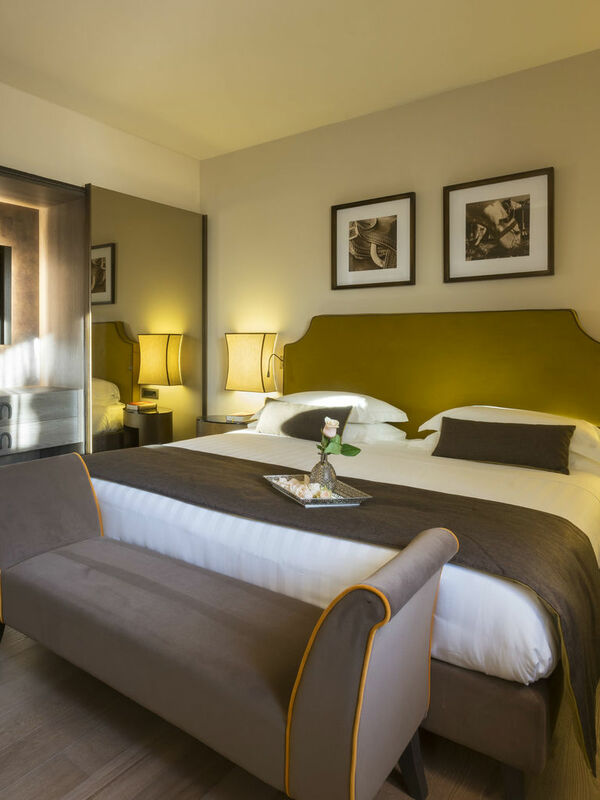 The Prestige rooms come with complimentary Spa and pool access. 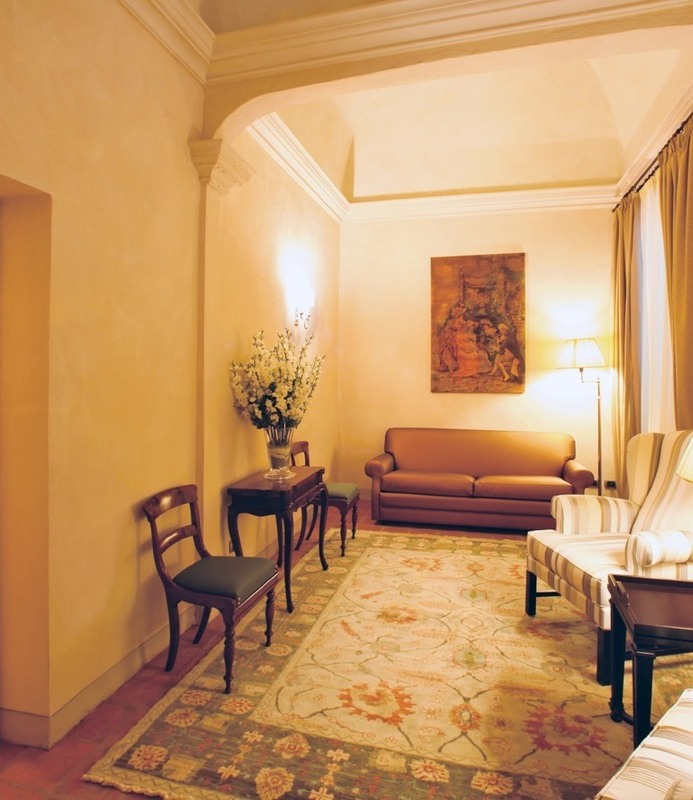 A room fit for any VIP, this elegant suite gives guests a glimpse into the hotel’s rich history. 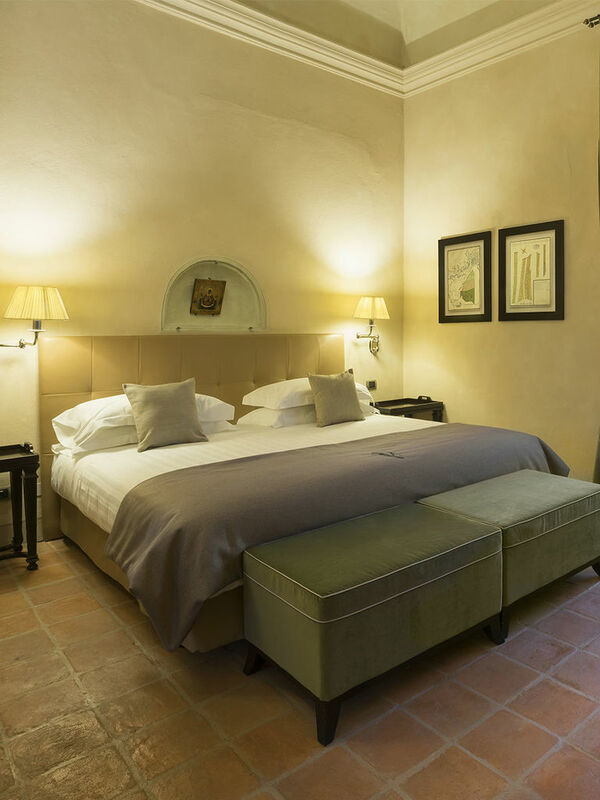 The ultimate luxury experience, our best suite in the house is an exquisite treat for one or two persons. Make the most of extra space and a private balcony or terrace for you and your travelling partner to use. OCTOBER-NOVEMBER SPECIAL: When checking out on a Saturday or Sunday, SPA access is included until 14:00. 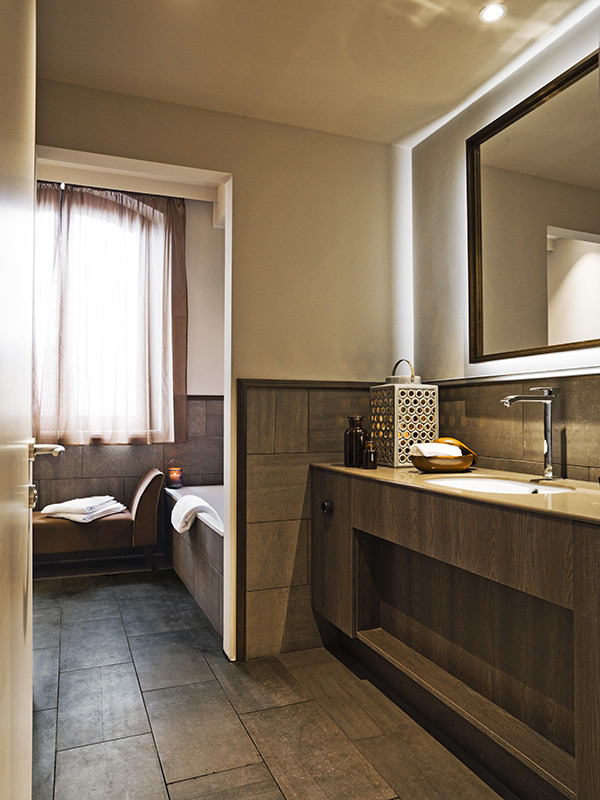 After leaving the room, you can still enjoy wonderful moments of relaxation before returning to everyday life. 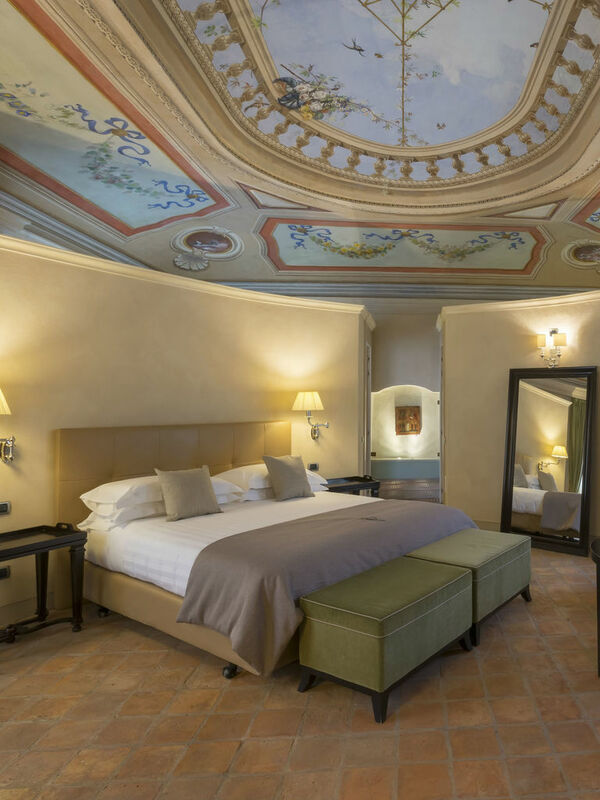 Add extra features to your stay and indulge yourself for longer at Relais Sant’Uffizio.